Kolpa is housed in many Slovenian homes – today it added another one. BTC City Ljubljana opened a new showroom of bathroom fixtures and products Kolpa san. • BTC d.d. Kolpa is housed in many Slovenian homes – today it added another one. BTC City Ljubljana opened a new showroom of bathroom fixtures and products Kolpa san. 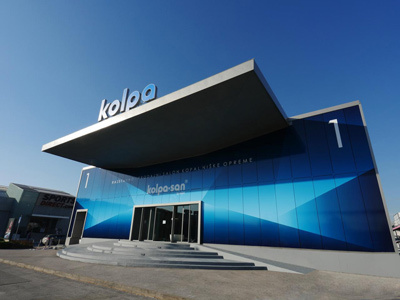 In the showroom and store of bathroom fixtures Kolpa san, Kolpa exhibits primarily products in the high and mid price range – from bathtubs to massage systems, shower cubicles, massage cabins, steam saunas and bathroom furniture. Everyone, especially investors and architects, can also take a closer look at Kolpa’s other brand, Kerrock – the composite material of the future. Kolpa also shared its joy upon opening the new showroom with those who cannot afford a new bathroom. In cooperation with the charity Ana’s little star, they donated all the necessary bathroom fixtures for a full bathroom renovation to a family in need.